Maple Leafs Gardens was the vision of Conn Smythe. 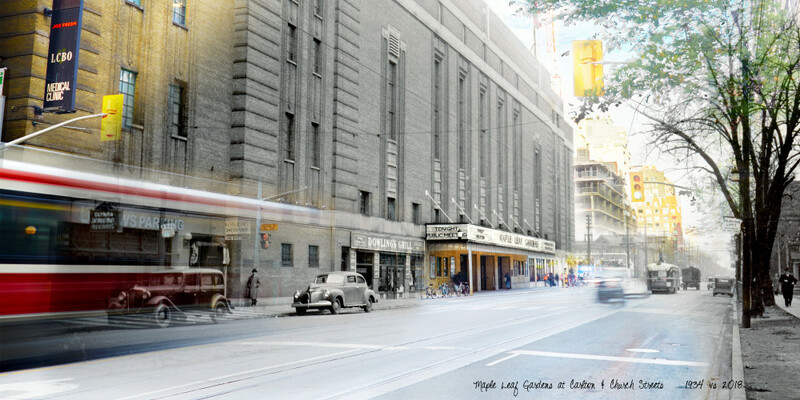 Construction of Maple Leaf Gardens began in June 1931 despite the Great Depression. With a workforce of 700 men, the building was completed within 5 months and 12 days. The architectural firm of Ross & Macdonald, with associates Jack Ryrie and Mackenzie Waters, designed the arena which was constructed by Thomson Brothers of Toronto. Opening night was November 12, 1931, the Toronto Maple Leafs lost to Chicago Blackhawks 2-1. They would go on to knock Chicago out in the first round of the play-offs that year. The Montreal Maroons were next, then the Leafs went on to beat the New York Rangers to take the Stanley Cup 1931-32.